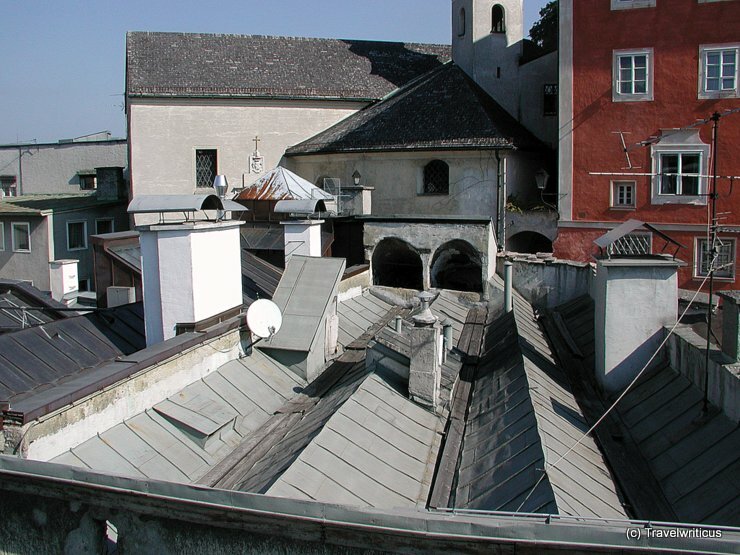 View from the terrace of the Gallery Remixx in Graz. 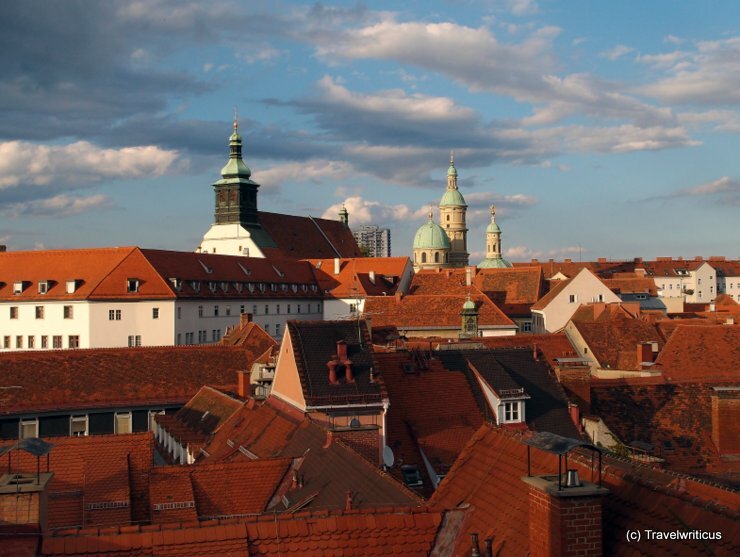 The church on the left side is the Dom (Cathedral) of Graz, the three spires on the right side belong to the Katharinenkirche and the mausoleum of Emperor Friedrich II. 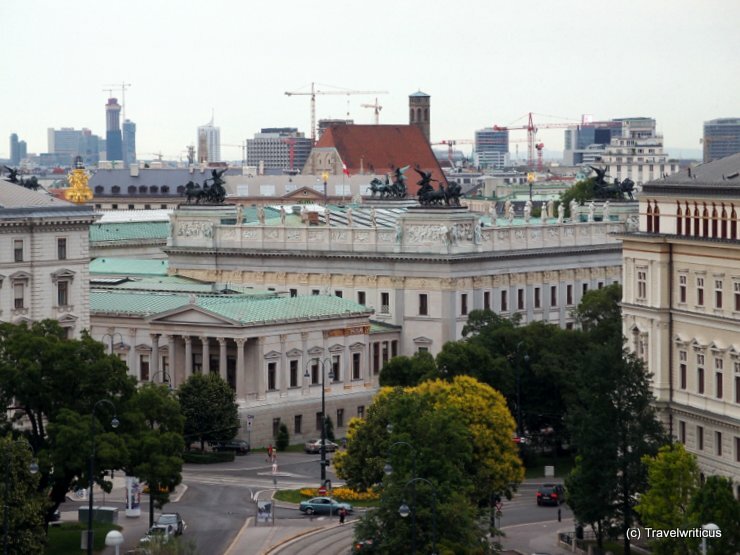 An unusual view of the Austrian parliament taken from a rooftop café at the 25hours Hotel in Vienna. The church (Minoritenkirche) in the middle of the photo houses an amazing mosaic: A replica of Leonardo da Vinci’s ‘Last Supper’.